News on the ‘Ready Player One’ movie has been somewhat scarce of late, but the recent announcement that the script is being rewritten by Zak Penn signals that not all is lost for the adaptation of Ernest Cline’s bestselling novel. Although it’s not incredibly promising when the only update you get on a long delayed production is that it’s undergoing rewrites, at least this means that the movie is not completely mired in development hell. Admittedly, ‘Ready Player One’ is tricky material to adapt. It’s a highly referential, 80s nostalgic sci-fi tale that more than likely requires a CG heavy budget. But I’m confident if they put it in the rights hands and give them the necessary resources, they can do it justice. Hopefully the recent box office success of somewhat kindred sci-fi spirit ‘Guardians of the Galaxy’ will give it a nudge in the right direction. 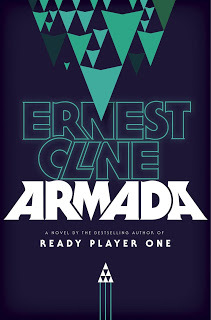 Although the movie rights to Cline’s next book ‘Armada’ have already been sold, the book itself seems to be experiencing some delays, too. Originally announced back in 2012 and slated for a September 2014 debut, ‘Armada’ is now looking at a July 2015 release date. There aren’t many details about why it got pushed back, but delays like this aren’t uncommon in publishing, so I’m sure they are just touching it up. Either way, I look forward to its release. I’m sure the wait will be worth it. 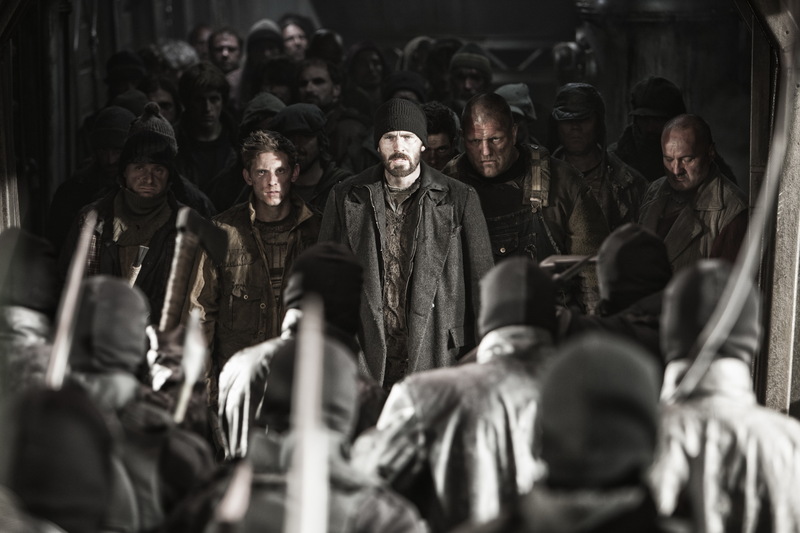 I’d spent a significant amount of time hyping ‘Snowpiercer’ before its release (even going as far as putting it on my best movies of 2013 list before I had actually seen it), so I have no idea why I waited so long to sing its praises. I got a chance to see it back in April when I imported the cool looking French DVD a few months before the Weinsteins got over their squabbling and released it in June. I’m not sure what caused the delay in writing about it. Maybe I was just mulling over the complexities of the story or compiling the elements that I liked about it. Either way, like all of Joon-ho Bong‘s movies, there was a lot to process and I found myself thinking about it not only the next day, but weeks and months later. I get that the movie wasn’t for everyone and those that were expecting straight turn off your brain popcorn fun couldn’t overlook some of the allegorical aspects of the film (and even then, I know there are people who just straight hated it), which is certainly fine, but I thought it was wonderful and should finally cement Joon-ho Bong as one of the best filmmakers out there. In my opinion ‘Snowpiercer’ is an eccentric masterpiece and it marks the third master class film Bong has made for three different genres (respectively, ‘Snowpiercer’ as dystopian sci-fi, ‘The Host’ as a monster movie and ‘Memories of Murder’ for the serial killer genre). And while America has seemingly embraced it in even its semi purgatory limited/VOD release, I am really happy to see the sheer amount of theories and attention it has received weeks after most releases have faded from the clipped attention spans of summer moviegoers. One such theory about the film’s meaning is in the video below, an interesting take on Snowpiercer’s class warfare (I know almost all theories about the film confront class warfare, but this one has an intriguing interpretation of the middle class, especially in the roles of Namgoong and Yona). Either way, I highly recommend checking out ‘Snowpiercer’ if you are looking for something outside of the traditional summer mold. ‘Snowpiercer’ is still in theaters, available on VOD and if you have a region free DVD player, you can even import the French DVD from amazon. Also, in somewhat related sci-fi news, you should go see ‘Guardians of the Galaxy.’ It is awesome. So is the soundtrack.